The leading third-party interactive entertainment accessory provider, Mad Catz Interactive, announced the new and official range of Rock Band 3 peripherals, which are designed in conjunction with the world’s premier music video game developer, Harmonix, and also MTV Games. The new accessory and instruments for Rock Band 3 are expected to hit the stores just in time for the launch of the upcoming game, which is going to arrive on the holiday season of 2010. President and Chief Executive Officer of Mad Catz, Darren Richardson, said that they believe that Rock Band 3 will prove to be a revolutionary title in the rhythm music game genre and that they are excited to be working with Harmonix and MTV Games to help bring the game to life with this new line of products. He also stated that the accessories they just announced will allow gamers to interact with music games like never before and that when they are used alongside Rock Band 3; they believe they will set a new standard in realism and authenticity. 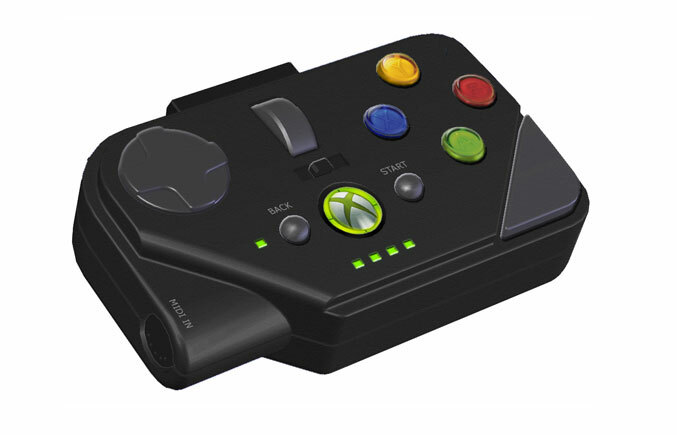 The Rock Band 3 Wireless Keyboard Controller for the Xbox 360, PlayStation 3 and Nintendo Wii at the price of $79.99. 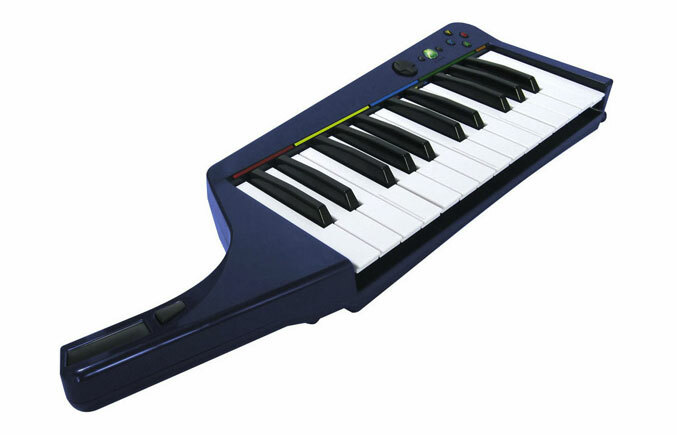 It can be used as a MIDI keyboard with two-octave range, from C3 to C5, and also to play the lead guitar or bass parts of a game in Rock Band 3. The Rock Band 3 Game & Wireless Keyboard Controller Bundle for Xbox 360, PlayStation 3 and Nintendo Wii at the price of $129.99, which is ideal for gamers who want to enjoy the hottest music in the holiday season. It includes the Wireless Keyboard Controller and the retail Rock Band 3 game itself, thus offering an amazing value for music fans. The Rock Band 3 Wireless Fender Mustang PRO-Guitar Controller for Xbox 360, PlayStation 3 and Nintendo Wii at the price of $149.99. This peripheral is manufactured exclusively for Rock Band 3, and features 17 frets along with a button-based neck with a six-string strumming area. 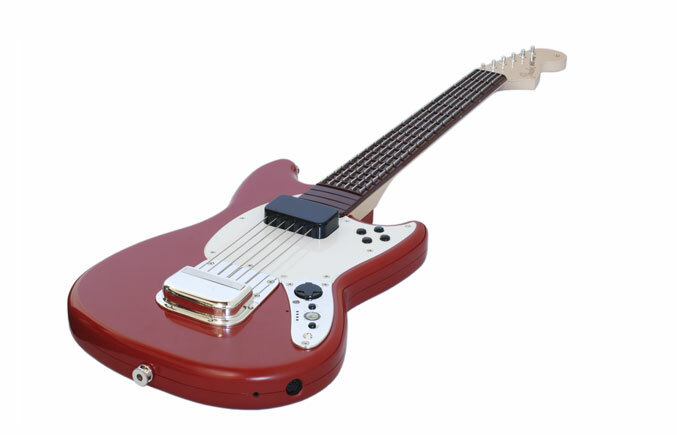 It can also function as a MIDI guitar, which provides compatibility with MIDI software sequencers, just like the Wireless Keyboard Controller. The Rock Band 3 Wireless PRO-Cymbals Expansion Kit – Universal at the price of $39.99, and compatible with all the Wireless Rock Band Drum Kits. 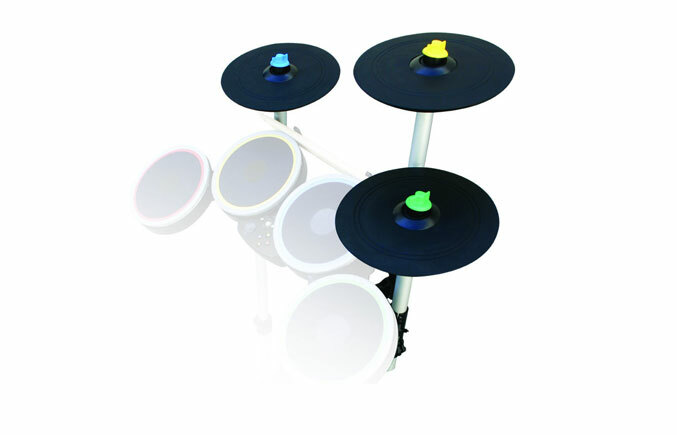 It also features the all-new designed Rock Band 3 cymbals, and supports the Rock Band Pro mode where the cymbals function as Hi-Hat, Crash and Ride. These cymbals are also available with a Rock Band 3 Wireless Drum and Cymbal Kit, which is sold separately. The Rock Band 3 MIDI PRO-Adapter for the Xbox 360, PlayStation 3 and Nintendo Wii, at the price of $39.99, is also manufactured exclusively for the Rock Band 3 game; allowing musicians to use their real MIDI keyboard or MIDI drum sets to play Rock Band 3. Rock Band 3 will be released simultaneously this Holiday, 2010, around the world.